After keeping the world waiting for hours, Kenya’s Independent Electoral and Boundaries Commission finally declared President Uhuru Kenyatta winner of the country’s election, NAN reports. Independent Electoral and Boundaries Commission (IEBC) Chairman Wafula Chebukati declared Kenyatta the winner of the presidential race at exactly 10.17pm. According to final results declared by the electoral commission on Friday night, he gained 54.2 per cent of votes. The declaration was boycotted by representatives of the opposition coalition, led by Raila Odinga. 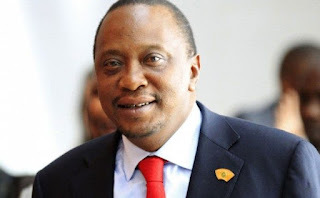 President Kenyatta won with 8.2 million votes compared to 6.8 million votes for his closest rival Raila Odinga. Daily Nation said Odinga demanded access to the electoral commission’s servers as a condition to accepting the outcome of the election, which he claimed was rigged in Kenyatta’s favour.